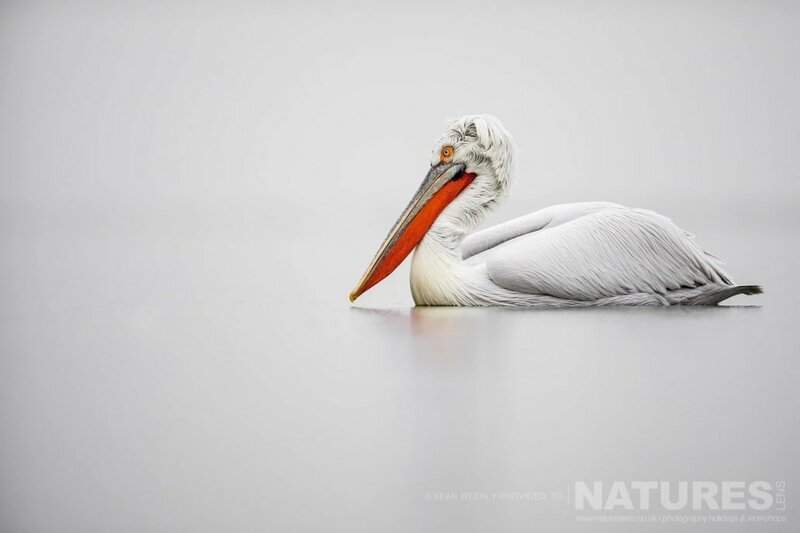 In January 2018, I had the privilege of guiding three consecutive holidays to Lake Kerkini, to capture images of the charismatic Kerkini Pelican. This was my second visit to Lake Kerkini. I first visited this beautiful area in 2017, when I co-led my first Kerkini Pelican photography holiday with Pui Hang. We were blessed with somewhat snowy & cold conditions, which gave us opportunities to create some unique imagery. I was excited to be returning, but this time under very different circumstances! Lake Kerkini in Northern Greece is one of the most important wetlands in Europe. In fact, it is considered to be one of the top European bird watching destinations! About 300 bird species have been observed here. Among them, the Dalmatian Pelican & the Pygmy Cormorant, both of which are sadly threatened species. 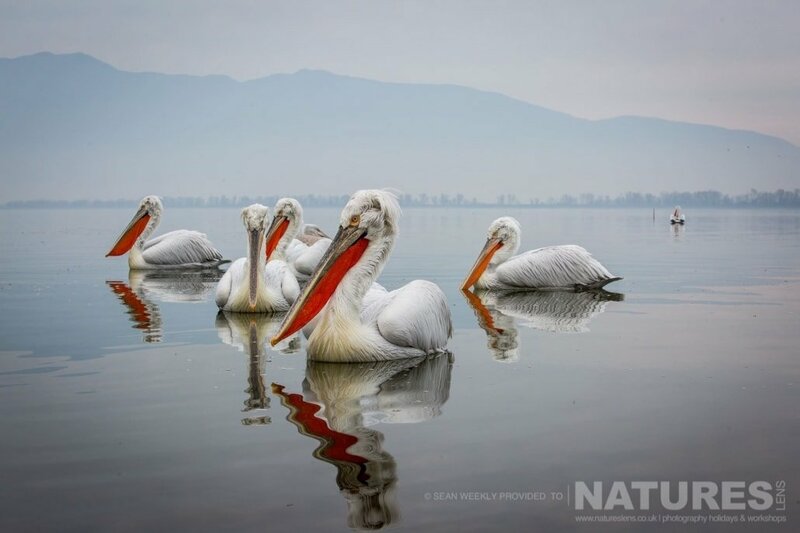 This situation makes the area a unique destination to witness Dalmatian Pelicans in significant numbers. The guests & I were very much looking forward to the morning sunrise boat trips. These are considered by many clients to be the highlight of the tour. It has to be said that these boat trips certainly delivered some exceptional images over the trips! On the first day of each of the three holidays, the guests & I discussed the types of images that they hoped to achieve. 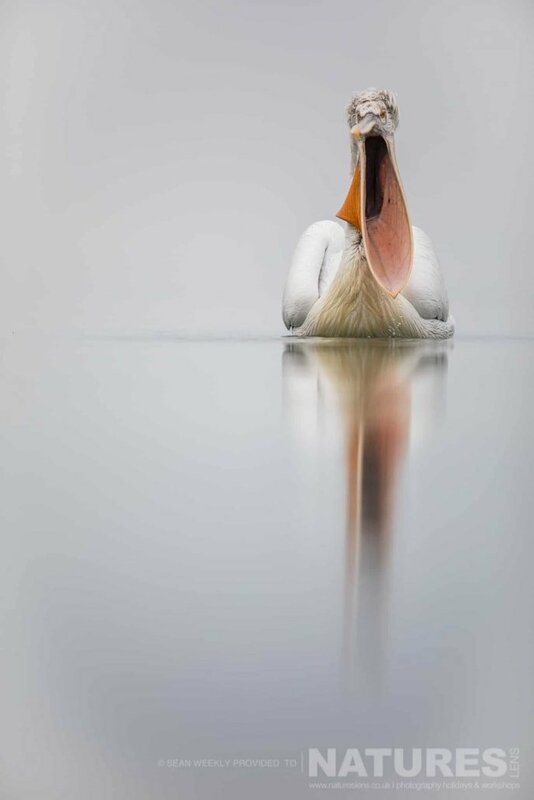 We also, as a group, reviewed some previously captured pelican images for inspiration. The following morning saw us heading out for our first boat trip. 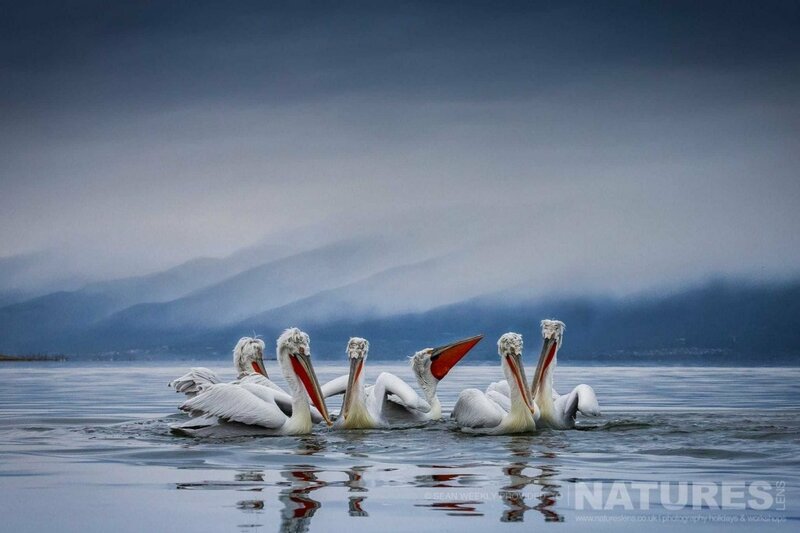 It didn’t take long for our exceptional guide to find the Kerkini Pelicans. This initial outing was a great opportunity for everyone to capture their first pelican shots. To get some classic images “in the bag” ahead of allowing themselves to think a bit more, before pressing the shutter button. 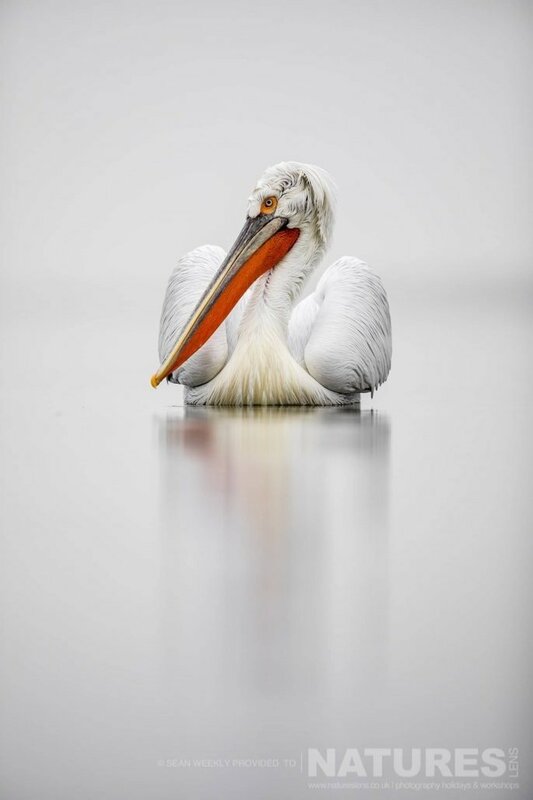 The holiday is planned for the winter months when the Kerkini Pelican is in breeding plumage. The time of year virtually guarantees that their red pouch & wild head feathers can provide some charismatic images. I spent the bulk of the Kerkini Pelicans Holiday teaching in flight photography techniques, compositional skills & how best to use different light sources to create artistic photos from harsh to pleasant soft diffused light. It’s always good fun to try & improve on images which you have taken the day before. I always try to have a few ideas of the sort of photographs that I want to achieve when photographing wildlife. It gives me a goal & something to aim for from day to day. This approach can work well & helps you think about images rather than just shooting. Doing this & sticking with the same idea can more often than not lead to failure. 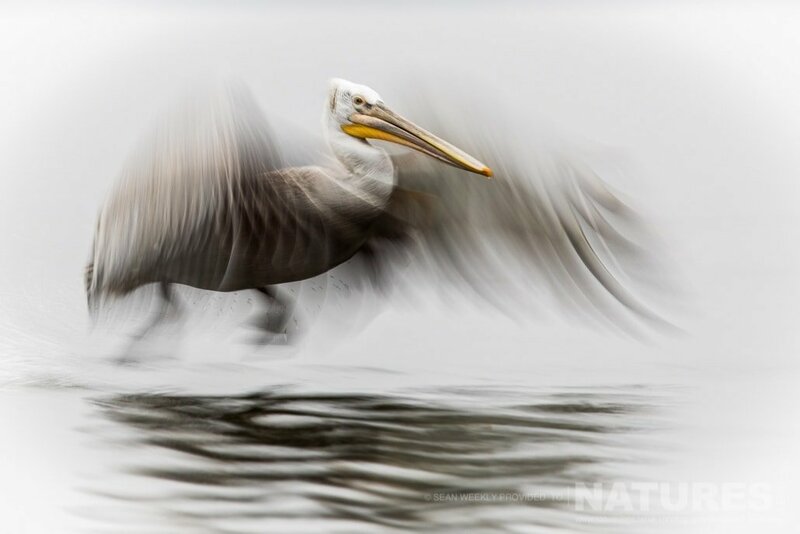 However, with lots of persistence, it can also lead to some very striking images, as this juvenile Dalmatian Pelican photographed on very slow shutter speed to add lots of movement to the image demonstrates. To photograph the superb Kerkini Pelicans for yourself, join Sean Weekly, one of the members of the NaturesLens guiding team, in Kerkini, Greece during January 2019 for a trip lasting five nights. 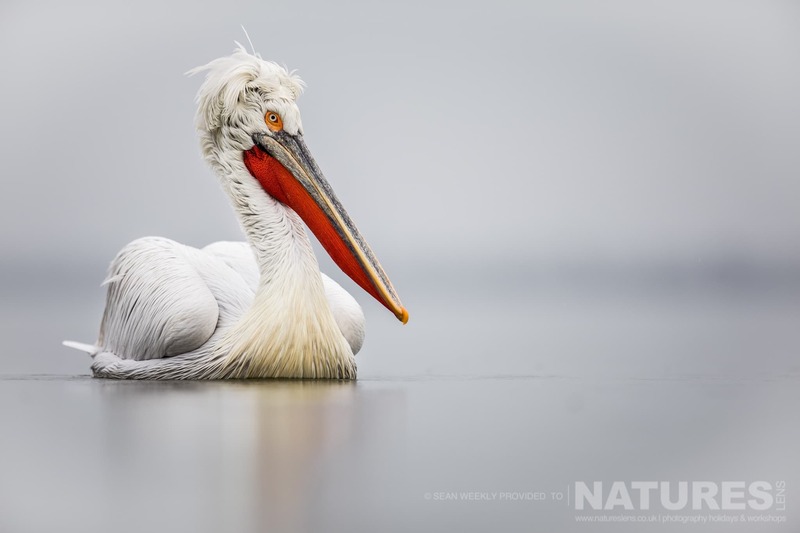 This photography holiday will offer you the opportunity to capture images of the Dalmatian Pelican. 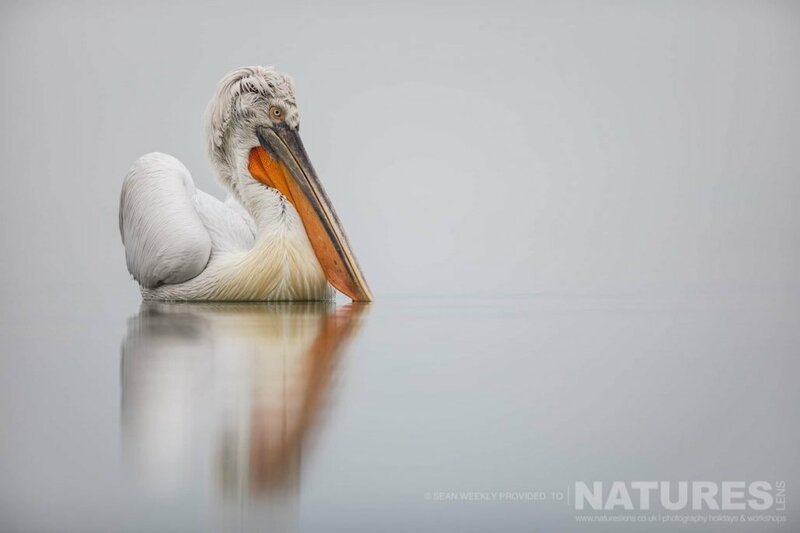 The NaturesLens Dalmatian Pelicans Photography Holiday is offered on a full board, non-shared room basis, & costs £1199 per participant. 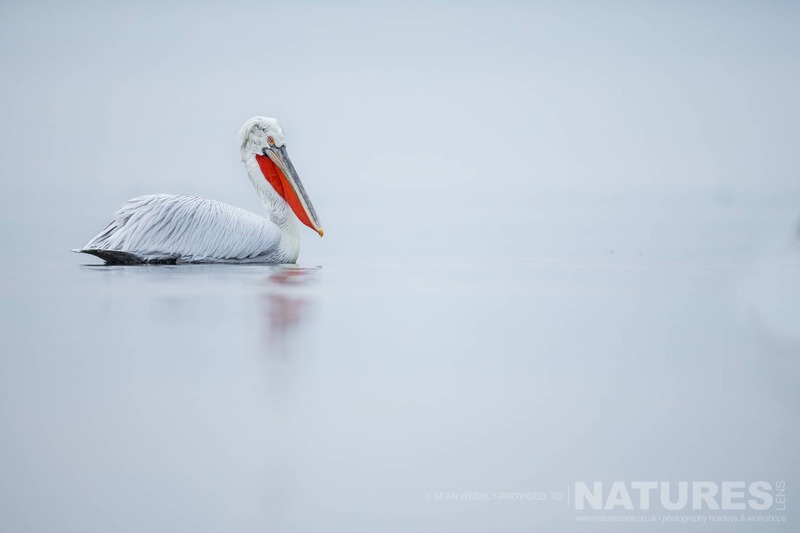 This entry was posted in photography holidays, worldwide tours and tagged dalmatian pelican, greece, kerkini, thessaloniki, winter. Whatever your query regarding our photography holiday, Sean reports in from this year’s trio of Kerkini Pelican s, please fill out your details below & we will get back to you.